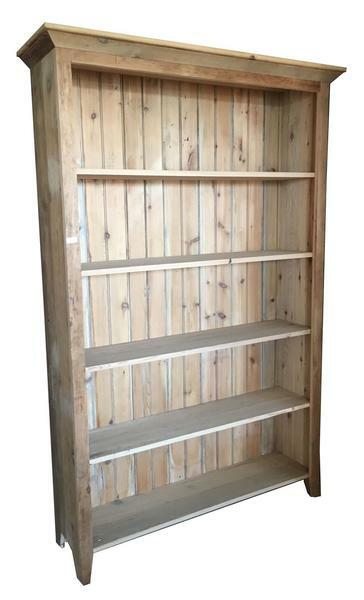 Display all your favorites on this Rustic Barn Wood Bookshelf. Handcrafted from century old reclaimed barn wood by our talented Amish Woodworkers. Available in a variety of finishes to compliment your space perfectly. Embrace the 100 year old history in this reclaimed wood bookshelf. Telling its own story through each knot hole, nail hole and hand saw mark. Check out our different sizes or call one of our Amish Furniture Specialist to customize your bookshelf!